Every child knows what is a bee, but most know honeybees. But this is the only one of hundreds of species of bees! 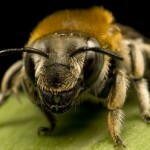 It is known more bees, but other wild bees are little known. And yet, these little winged insects are vital to us all. 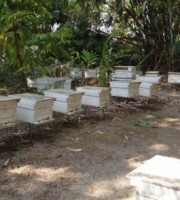 And not just because they give tasty honey, but for the reason that they actively contribute to pollination. 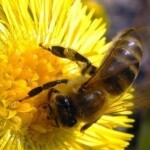 Bees love the flowers and play an important role in the pollination of flowering plants. 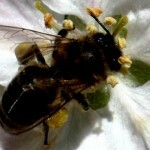 Bees need flowering meadows, fruit trees and gardens. 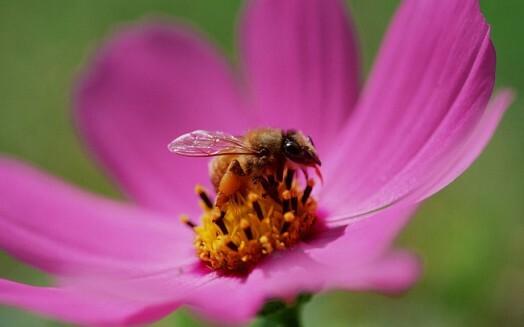 A bee visits 10 – 12 flowers per minute, and on average 4000 a day. 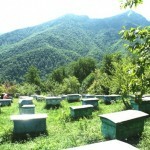 To collect 1 gram of honey, it has to fly in 1500 acacia flowers or 6000 red clover flowers. 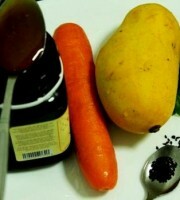 Studies have shown that yield of fruit trees would be lower than in many times without these industrious creatures. So taking care about the welfare of bees is our own interest. And amateur gardeners can do something to improve the habitat of bees. 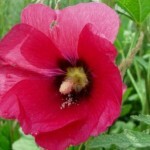 It is important not to use pesticides and try to bloom in the garden coninues all summer. Let it be more native plants. Exotic and beautiful don’t give the bees enough pollen and nectar. 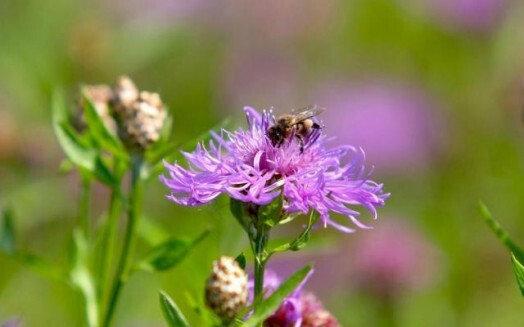 Some harmless plants in their homeland are poisonous to our bees. Flowers are usually pollinated by insects and flowers to attract insects at the right time, make scent, shine bright colors, use special tricks. A special kind of bees from Latin America collect fragrances from orchids. 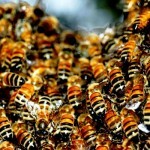 These substances attract males, and the cluster of males, in turn, attracts the bees females. 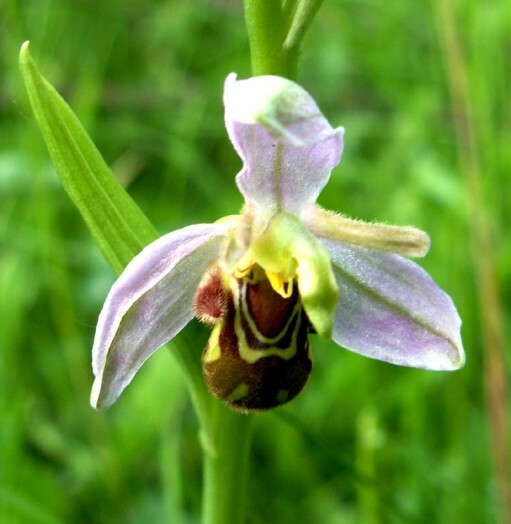 Why orchids intoxicating effect on bees? Wonderful special orchid scent produces nectar that bees get drunk that they fall into the cavity with water inside the flower. 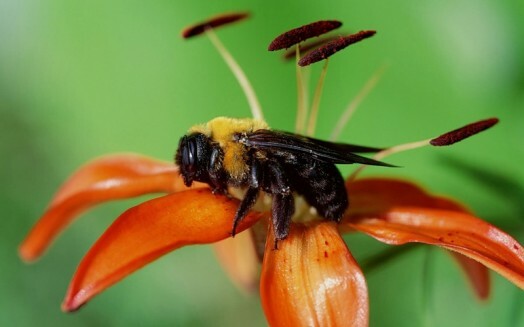 When the bee staggered goes from the flower, its body is covered with pollen. Some flowers attract bees with invisible to us colors and special signs. Wild flower begonia looks white to us, and for the bee – blue-green. 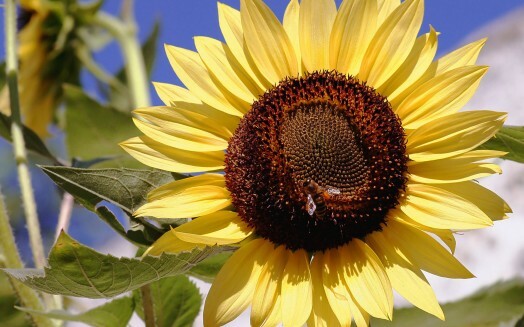 Bees distinguish ultra-violet rays, which our eyes do not perceive. They see the pattern on the flower evening primrose, which we are not able to distinguish. 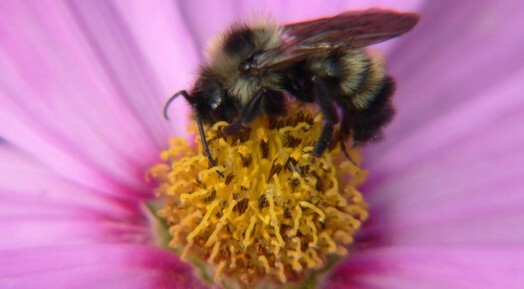 Bumblebees can be found in early spring in your garden. They surprise us in the first place for its large scale. These cute sloggers wake up after hibernation one of the first among their fellow insects and with a roaring they start to fly close to the ground, sometimes landing on the blooming flowers of spring primroses. They are hard to miss, not only because of the large size, but also because of the bright colors. From early spring to late autumn, bees collect nectar from the flowers, pollinating many garden plants. In addition, bumblebees are cold-resistant insects and they often the only ones can be seen in bad weather on early flowering garden plants. This special resistance to cold allowes bumblebees to spread far to the north – up to Greenland, New Earth, Alaska and Chukotka. 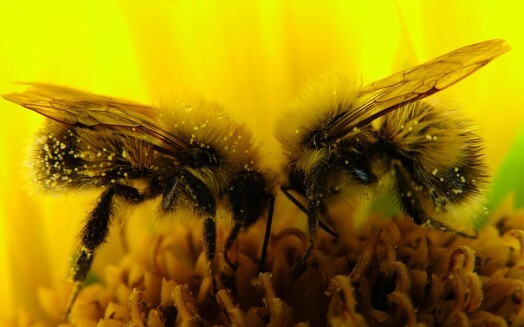 Bumblebees, like bees are social insects. Their families are made up of females, or fertile females, and smaller in size infertile workers, making the nest farming. 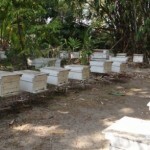 But unlike bees in case of death of the queen women’s working individuals take on its functions. In early spring the overwintered females fly low to the ground looking for a place for a future nest and a new family. Bumblebees nest is a ball of irregular shape, made of grass, moss, small twigs … Usually the nest is constructed using another shelter, in abandoned rodent burrows, under a covering of walls, in empty birdhouses and nest boxes. Young female builds a small nest, later its job being finished by workers. Larvae live in some cells, the female makes reserves of honey and pollen in others. 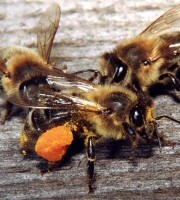 After 20 – 30 days working individuals appear from larvae. In the autumn the young generation leave the nest. Males die soon, and females get into secluded places and hibernate to give life to a new generation of bumblebees in spring. Families live from spring to autumn, and then the population of nests die besides young females. 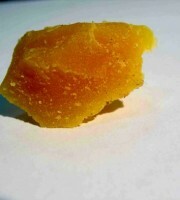 At present, there are industrial technologies for the artificial cultivation of bumble bees for greenhouses. 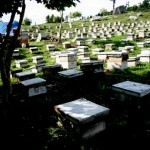 And beekeepers specially make small overgrown with grass grounds, to attract these highly beneficial insects to the garden . I like flowers more than bees.